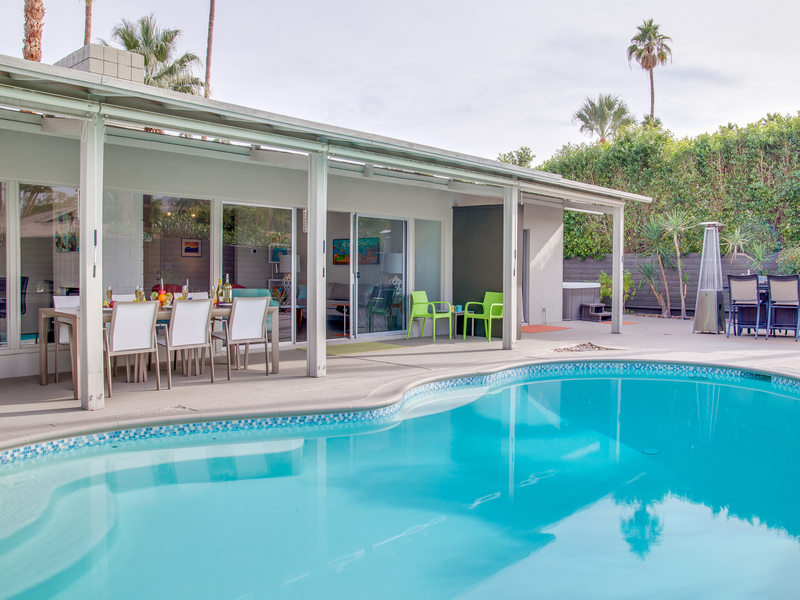 The Palm Springs Pool Pad is light, bright, spacious and fun! 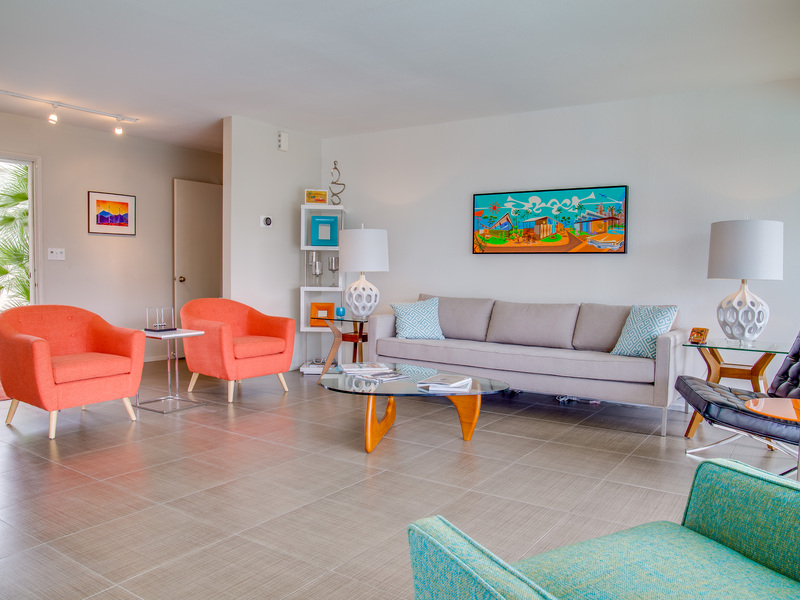 The open concept floor plan is ideal for spending time with your entire group. 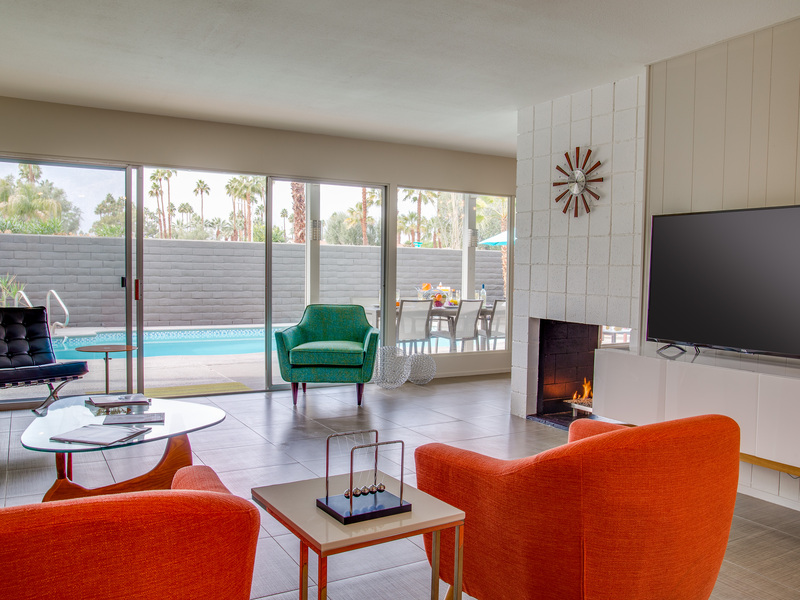 The large living room features midcentury-inspired art and furnishings in the style of Florence Knoll, Noguchi and Mies van der Rohe. 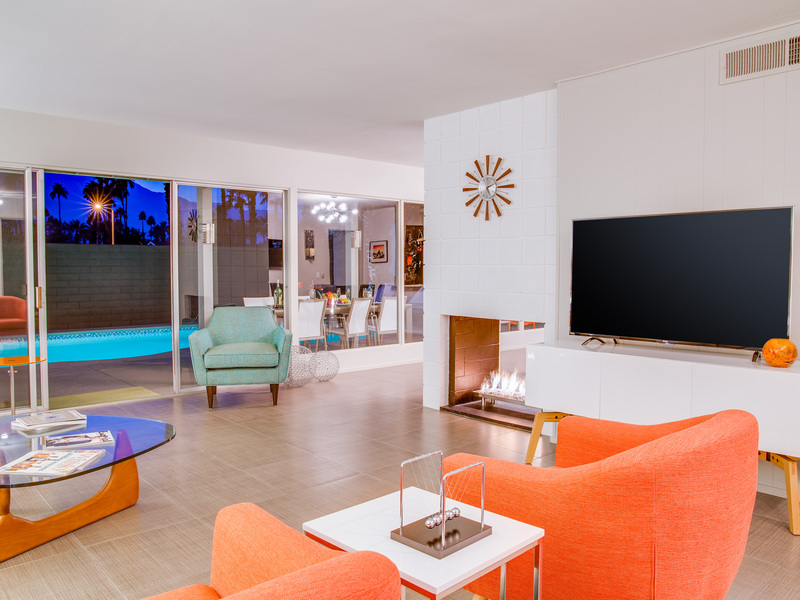 You'll also find a hip bar cart, a 55' 4K Ultra HD Roku TV with Blu-ray dvd player, and a retro chic two-sided fireplace that connects you to the adjacent dining area. The dining area seats six guests comfortably, has another flat screen television, a wine fridge and a cocktail serving area. 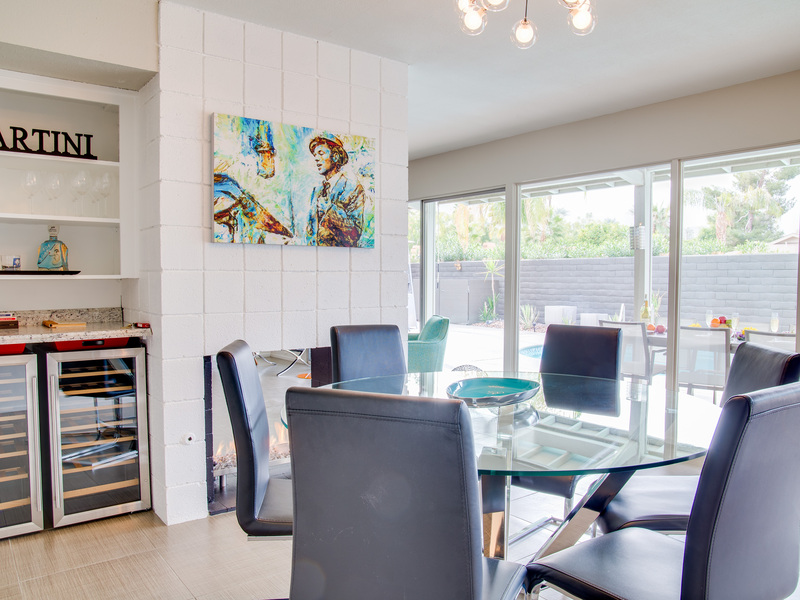 All of this is open to the fully-stocked chef's kitchen with its gleaming counter tops, and stainless steel appliances including a dishwasher and side-by-side refrigerator. 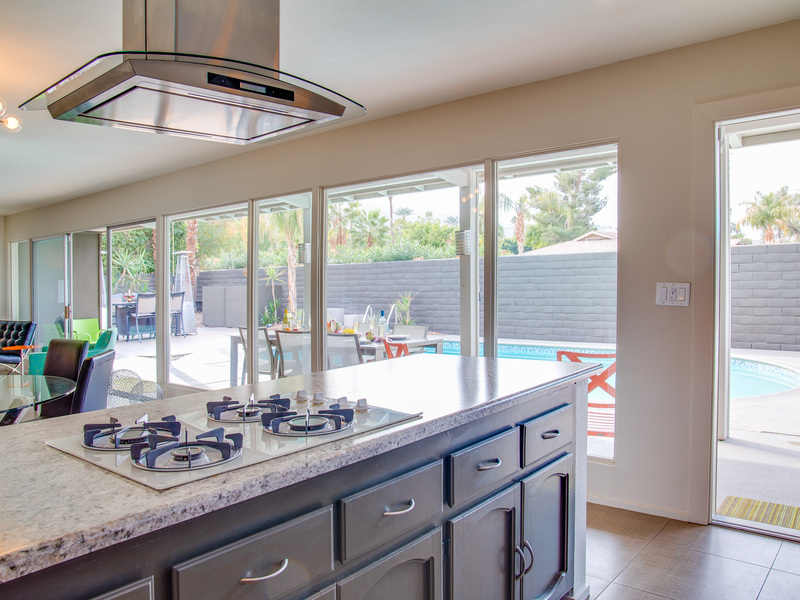 The kitchen has been space planned for both individual and group meal prep - so when you are not outside barbecuing - the chef in you will appreciate the gas stove and double oven. All along the back of the house are walls of glass that reveal the resort-style pool yard and panoramic views of Mt. 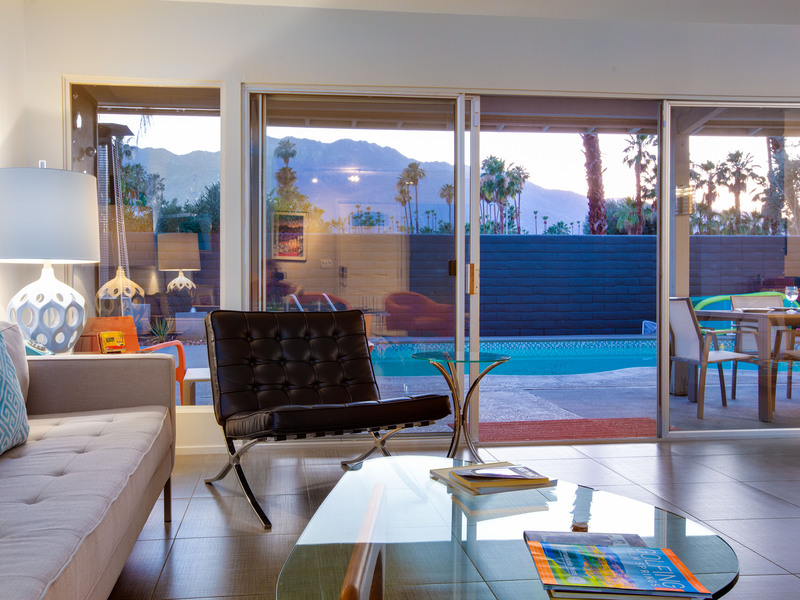 San Jacinto - blurring the lines between indoor and outdoor living in true Palm Springs-style. 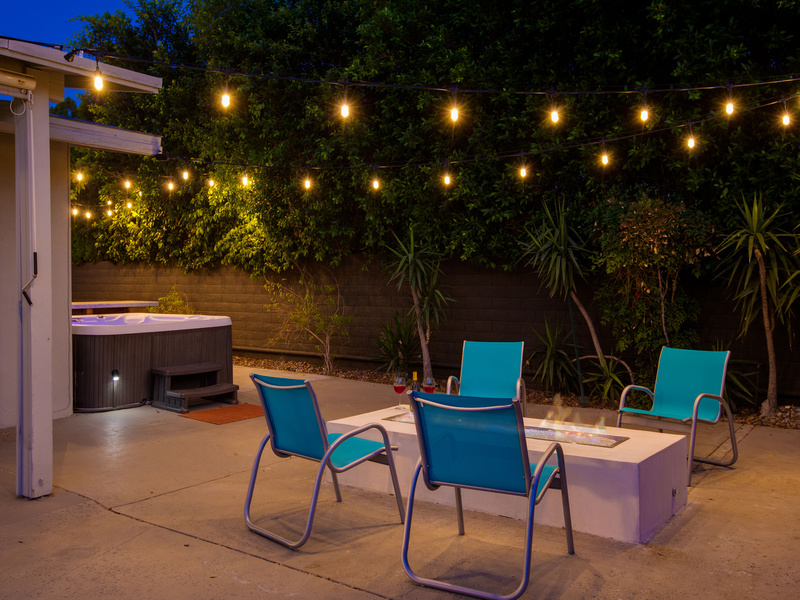 As beautiful as the interiors of this home are - it is the pool yard that is the main attraction. 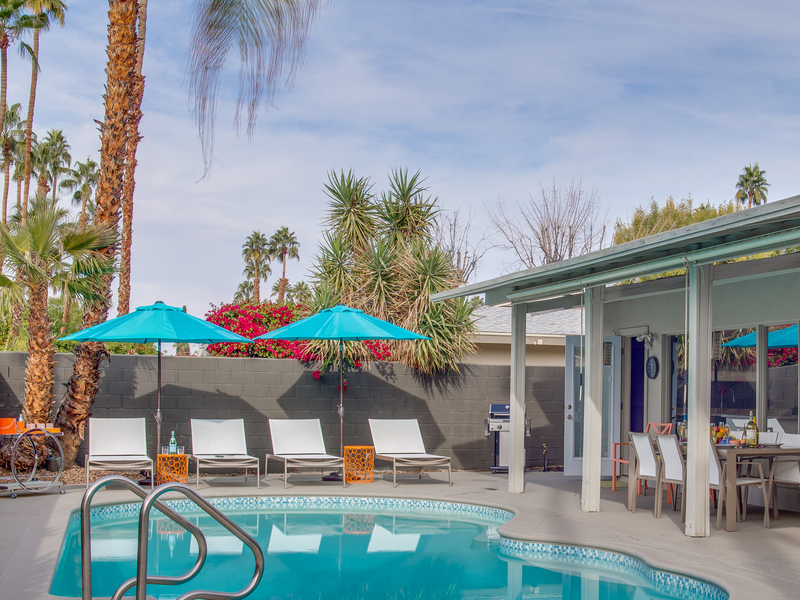 At the Palm Springs Pool Pad - it's all about relaxing in the sunshine. 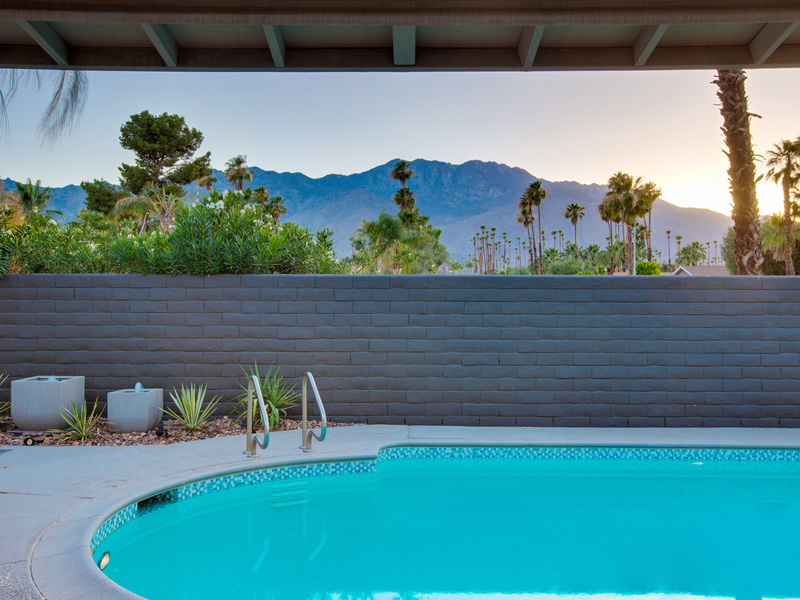 Completely walled for privacy, you'll be in your own secluded oasis - where the unobstructed west facing mountain views are simply stunning. The sunsets here are magical - and the starry skies sublime. 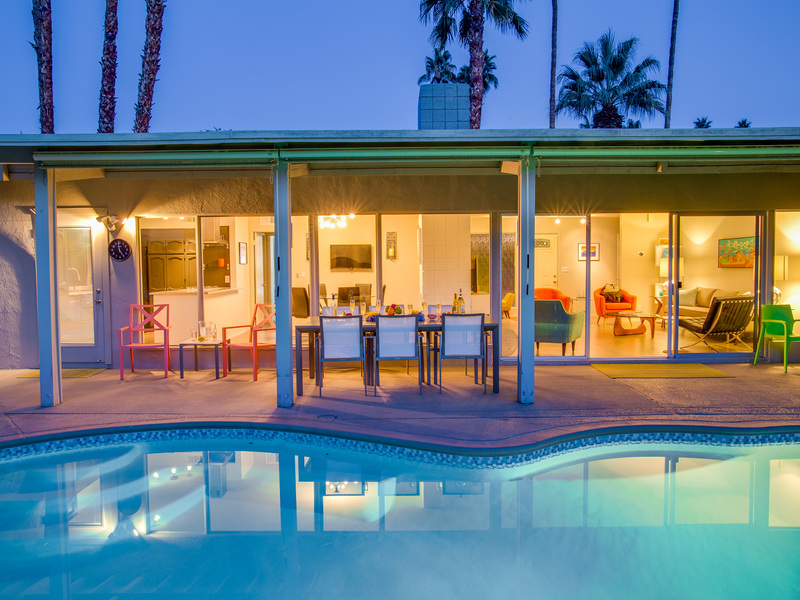 At the center of this private enclave is the free form pool with its midcentury-inspired glass mosaic tile. 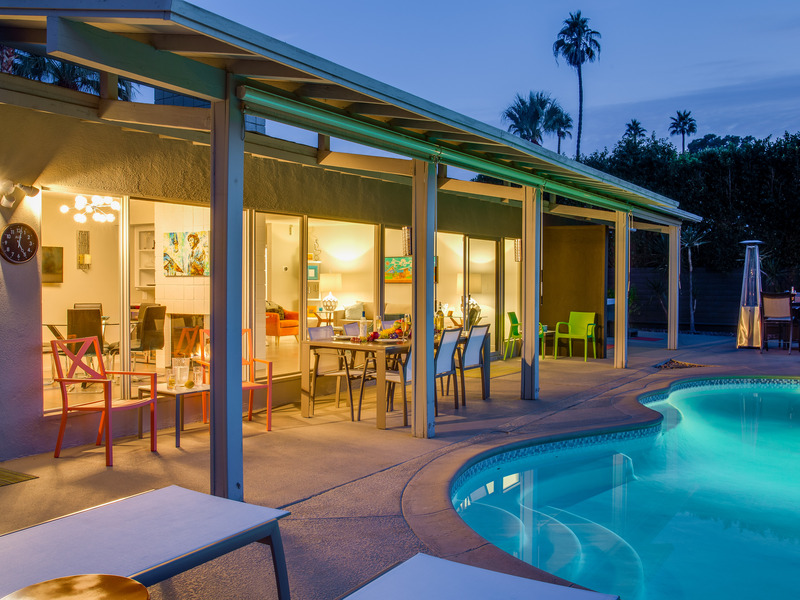 Lounge chairs, shade umbrellas, and the covered dining pavilion dot the perimeter. You'll also find a gas barbecue, two fire towers for warmth and ambiance, and a bar table with its own fire feature. 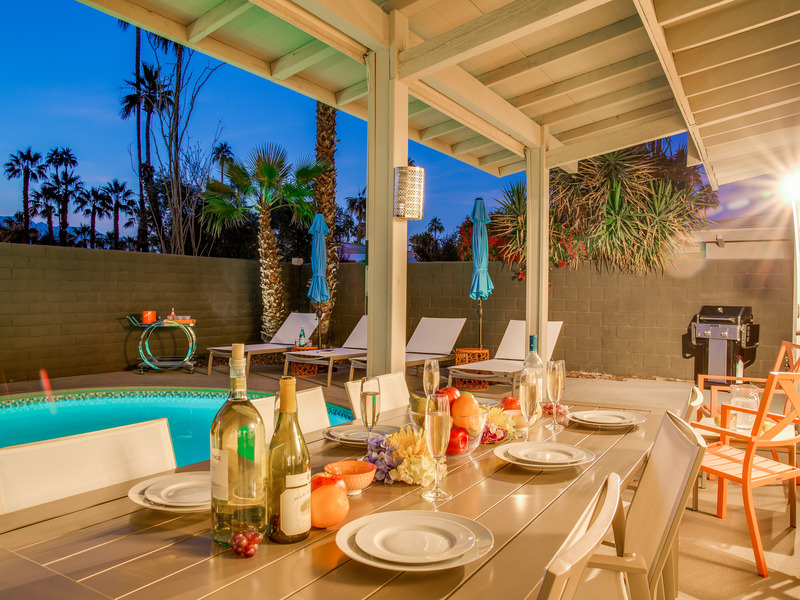 The Palm Springs Pool Pad is perfect for long days by the pool and even longer evenings under the stars. 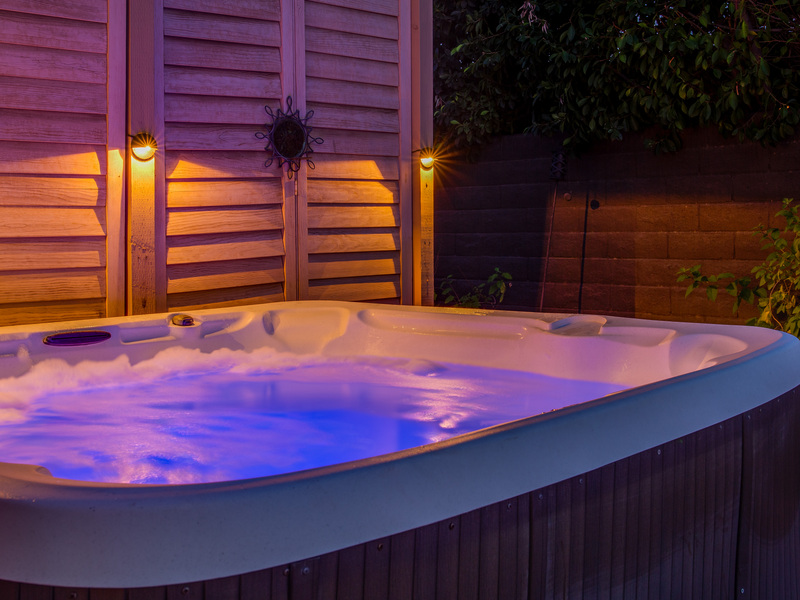 Night swimming is definitely encouraged and treating yourself to an early morning spa is a must! 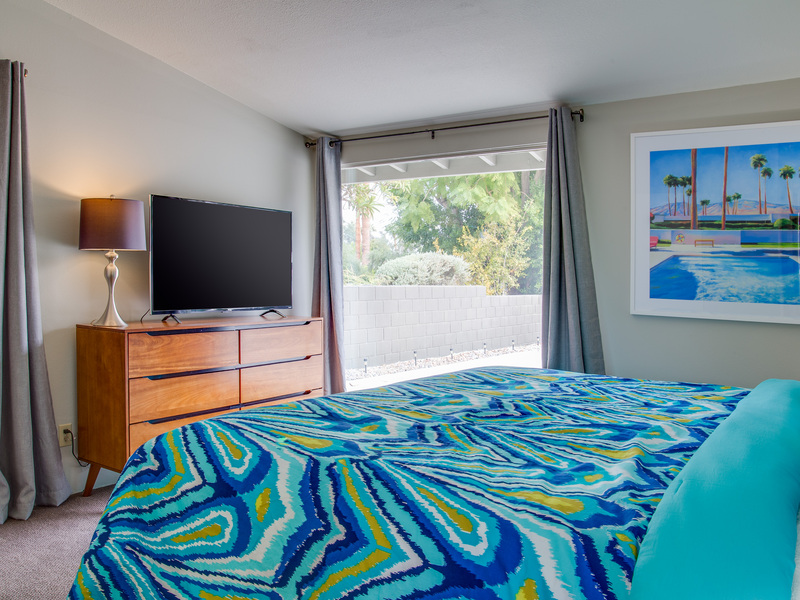 The master bedroom features a King-sized bed, 50' 4K Ultra HD Roku TV, walk-in closet and an ensuite bath. 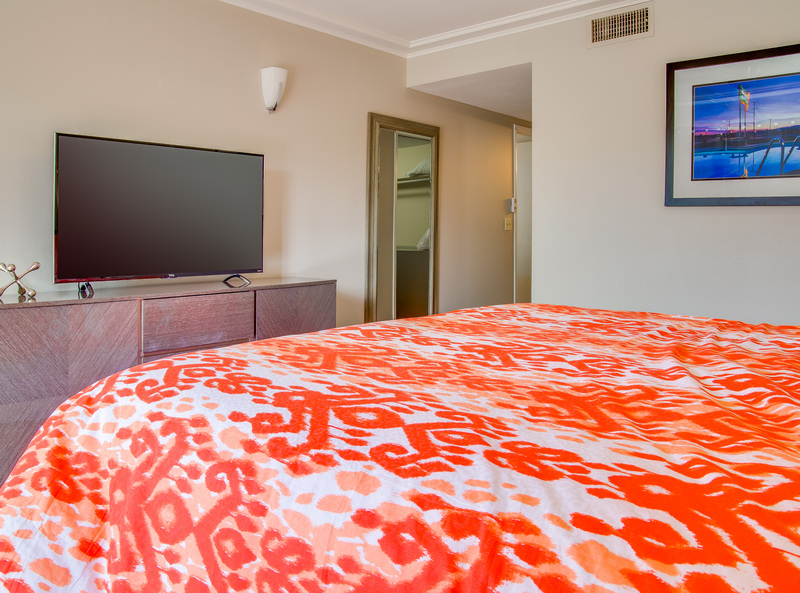 One guest bedroom has a King-sized bed and 50' 4K Ultra HD Roku TV. The other guest bedroom also has a King-sized bed that can be converted to two twin beds upon request. 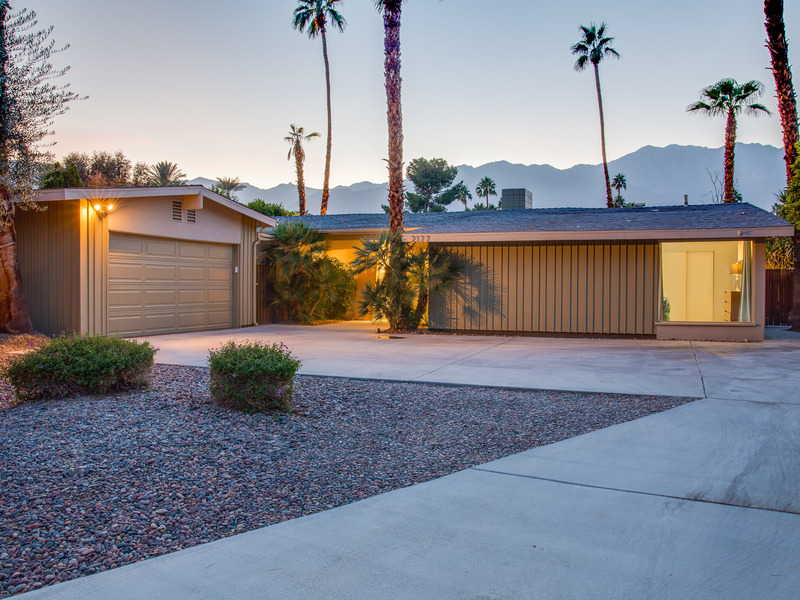 Palm Springs Pool Pad sits on a quiet residential street in a very walkable neighborhood - just an easy stroll to the world famous Palm Canyon Drive and just a 5 minute drive to the heart of Downtown Palm Springs. 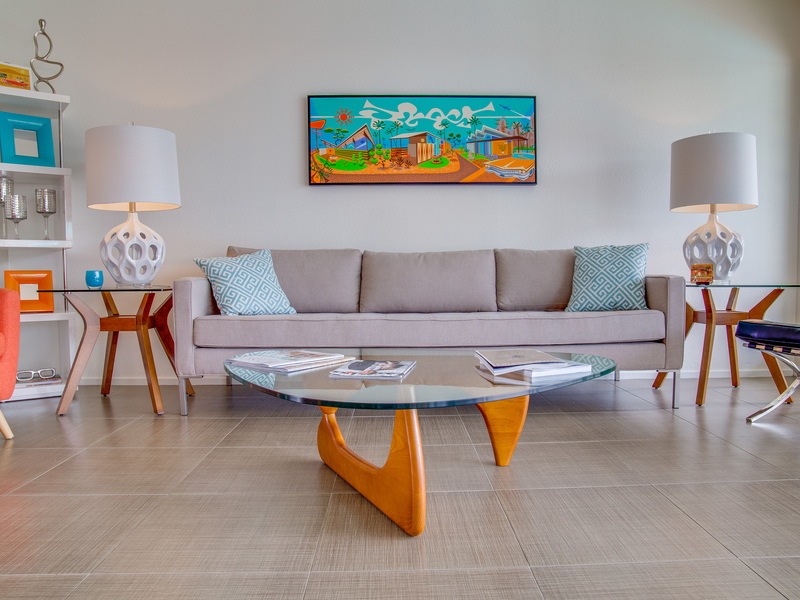 The Rim Rock Center is just a few blocks away from your door. There you'll find a full scale grocery store, a Starbucks, casual dining and other neighborhood conveniences. 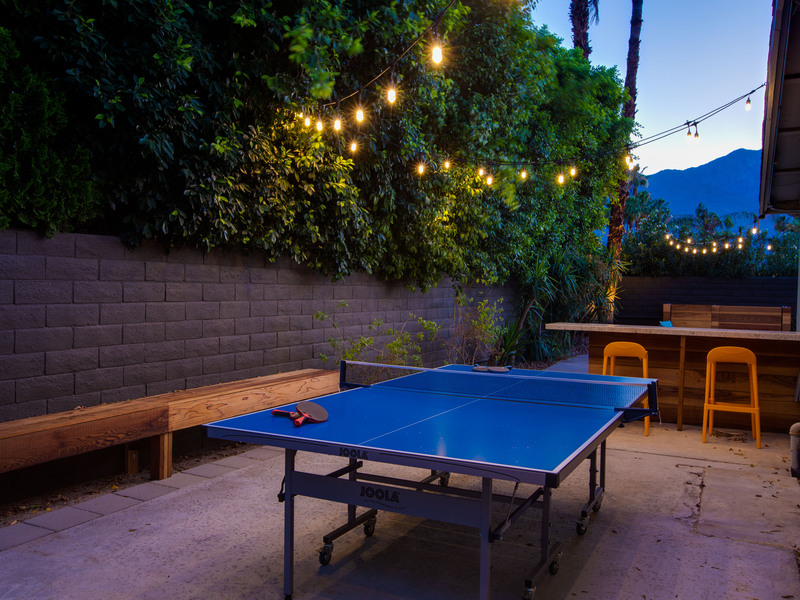 In addition to being very close to hiking, biking and pedestrian trails - the property is in walking distance to the Club House of the Tahquitz Creek Golf Resort, named by Golf Digest 'One of the Best Places to Play' for golf resorts. The Legend Course was designed by William Francis Bell, known for designing Torrey Pines, La Jolla Country Club and Bermuda Dunes Country Club. 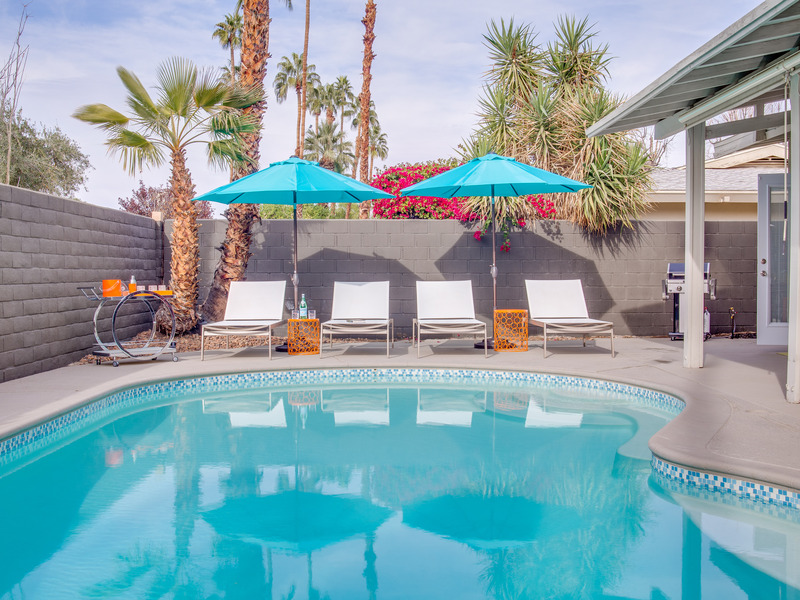 Palm Springs Pool Pad is resort living at its best and perfectly suited for extended weekends, month-long stays and as a seasonal vacation rental. Advanced booking suggested. 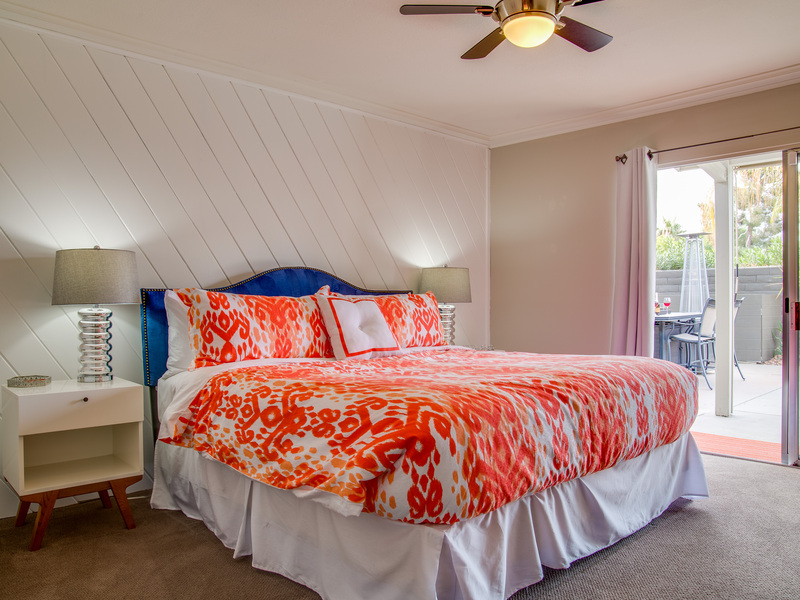 "We've stayed in this gorgeous home three times now and absolutely LOVE it! 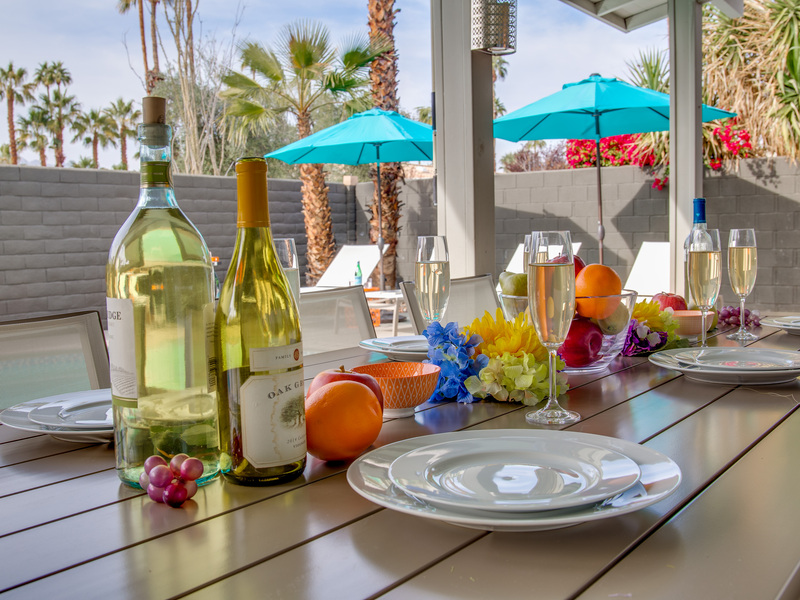 Not only does it feel like a home away from home, it feels like pure vacation. 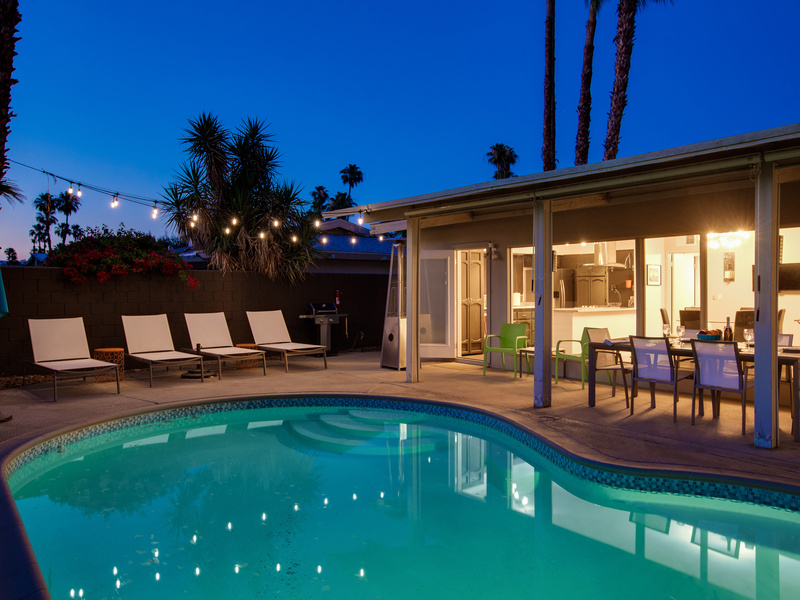 Whether you're looking to relax by the pool, play golf, hit a music festival, do some shopping, eat/drink your way around town or all of the above, this home is the perfect spot! Go solo, go as a couple, go with friends or take a family getaway--any way you choose it, this place will treat you well!" 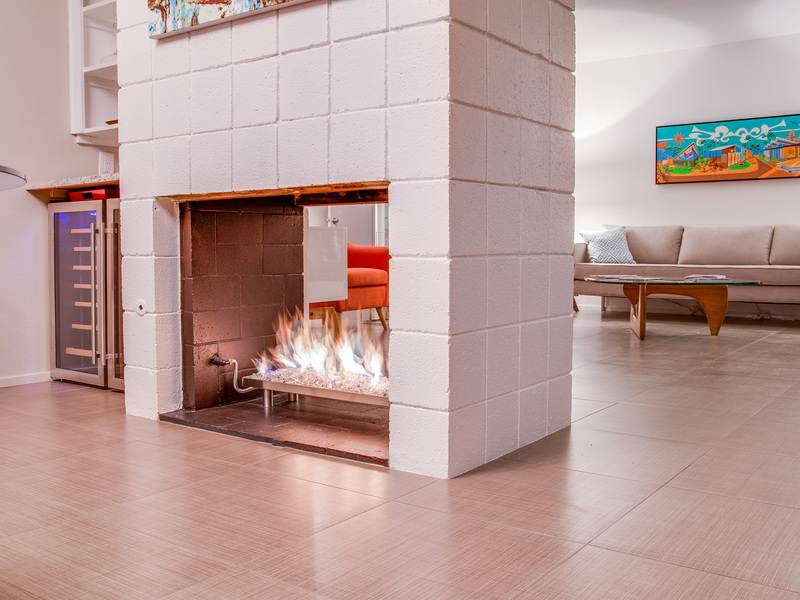 "We absolutely fell in love with this property. 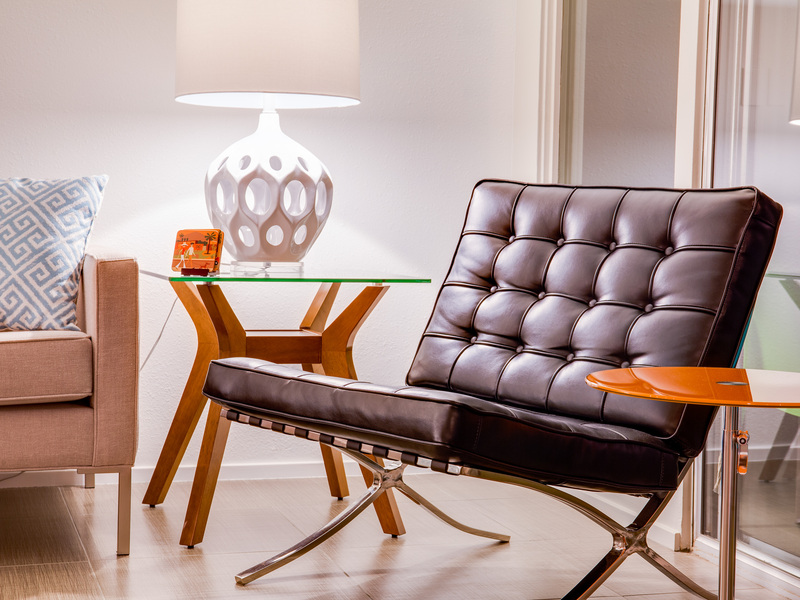 We give it high marks for comfort and easy living. We felt so at home and welcomed. 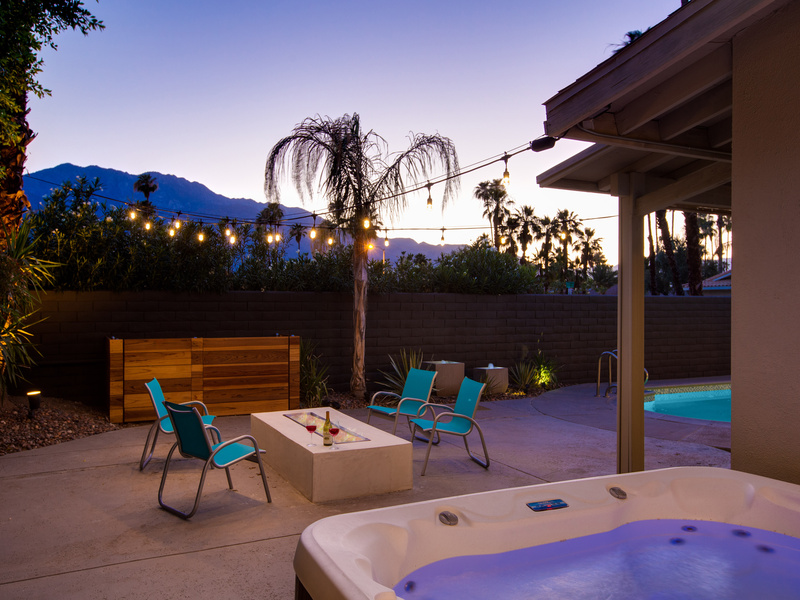 Thanks to the property owners for sharing your Palm Springs escape and much appreciation to the team at Acme for being so responsive and helpful." 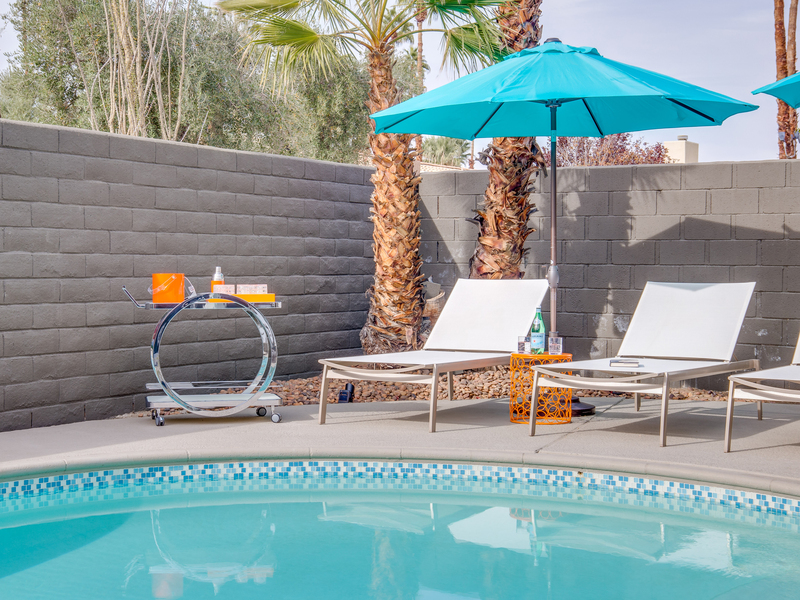 "Our stay at the Pool Pad was everything we could have hoped for. The house had everything we could need and was perfect upon arrival. We had so much fun with the pool and hot tub and LOVED the fire feature in the evening. Truly could not have found a more relaxing location to soak in the sunsets with a cocktail in hand! Thank you!" "Absolutely beautiful views from the relaxing pool area. 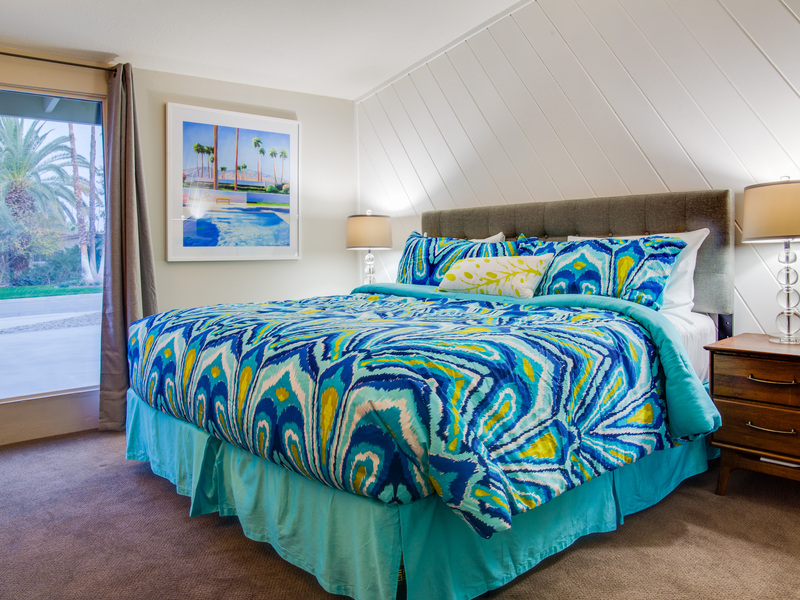 We loved the decorations and ambiance of the house and the beds were very comfortable! 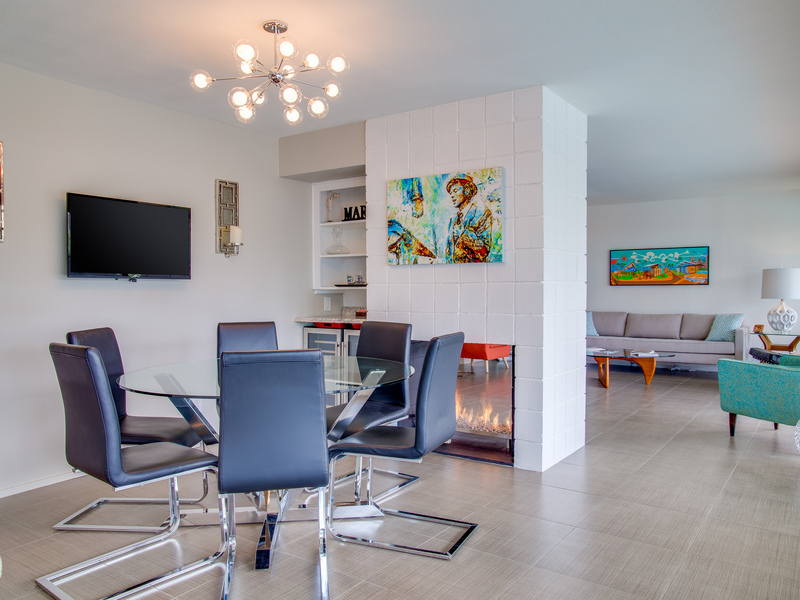 Easy access to wonderful restaurants and close to downtown and air museum. We loved our winter retreat in paradise! " "Very well equipped house! We enjoyed our stay!" "Had a great stay. Everything you need is right here. Very nice house. Thank you! We enjoyed the pool and had great weather! " 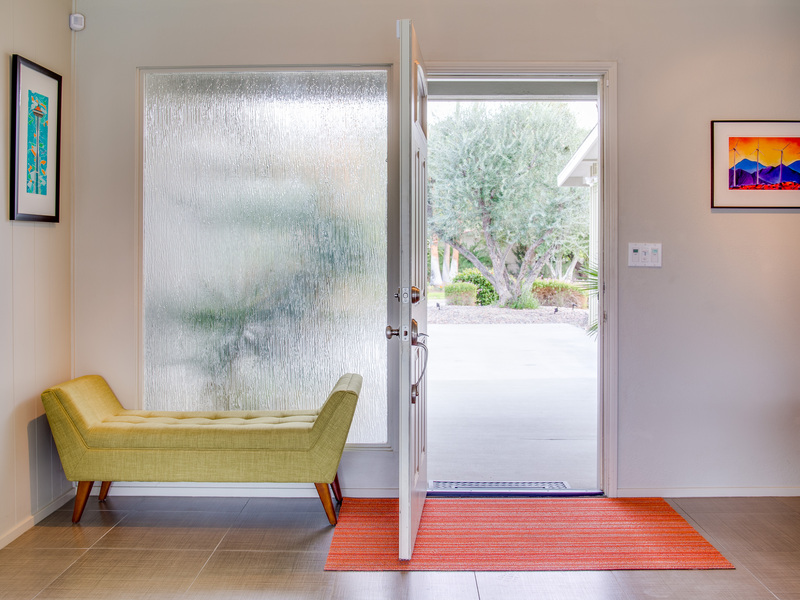 "Thank you so much for accepting us into your beautiful home! We loved everything about it, our kids LOVED the pool, they spent every day in there! We all had the best time, we will definitely be back!" 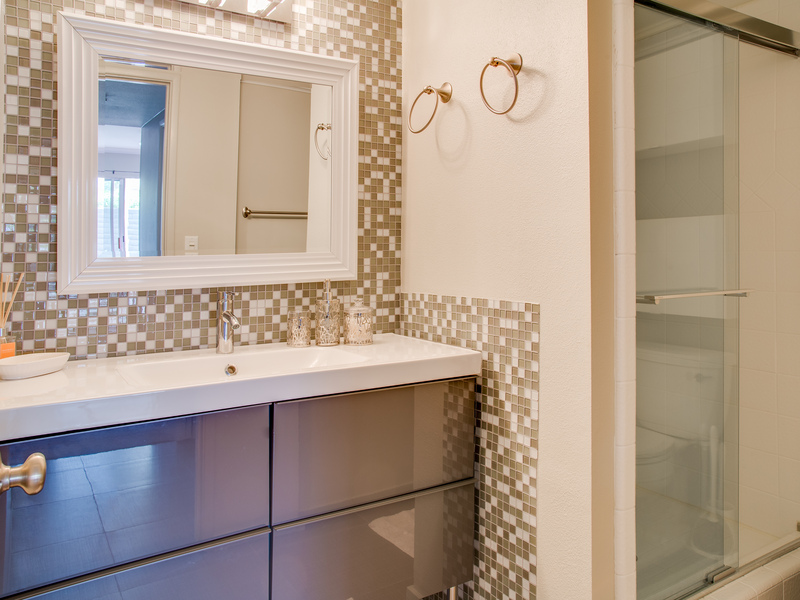 "Thank you so much for the use of your lovely home. My family had the most amazing time here and the house was a large part of our enjoyment. The pool, the decorations and the location were all fantastic! My sister -in-law really enjoyed the cutlery. This house had it all! Thanks again! We'll be looking to book here again, it was so great! " "This place was amazing! Very relaxing, and very cozy. Loved the whole trip,the home, and the privacy. Biggest surprise was Netflix was included!" 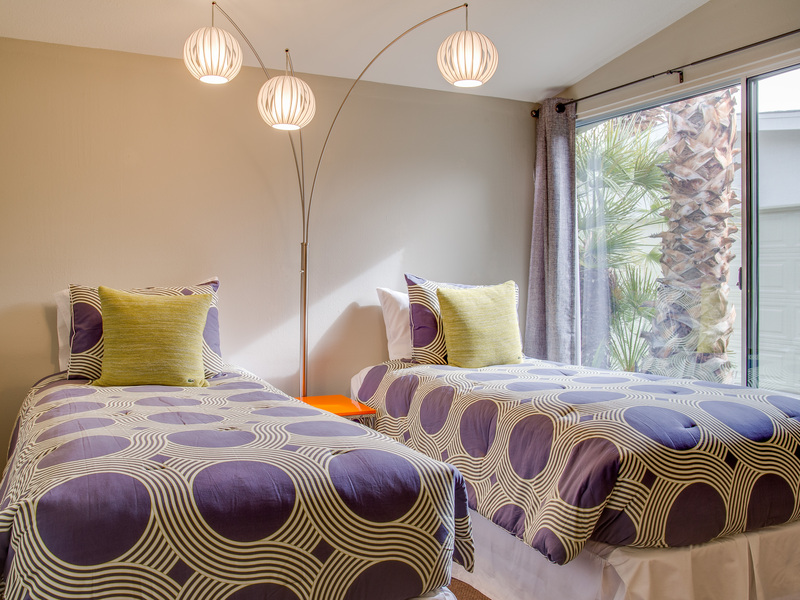 "We chose this property for the number of bedrooms, the pool, and the availability. 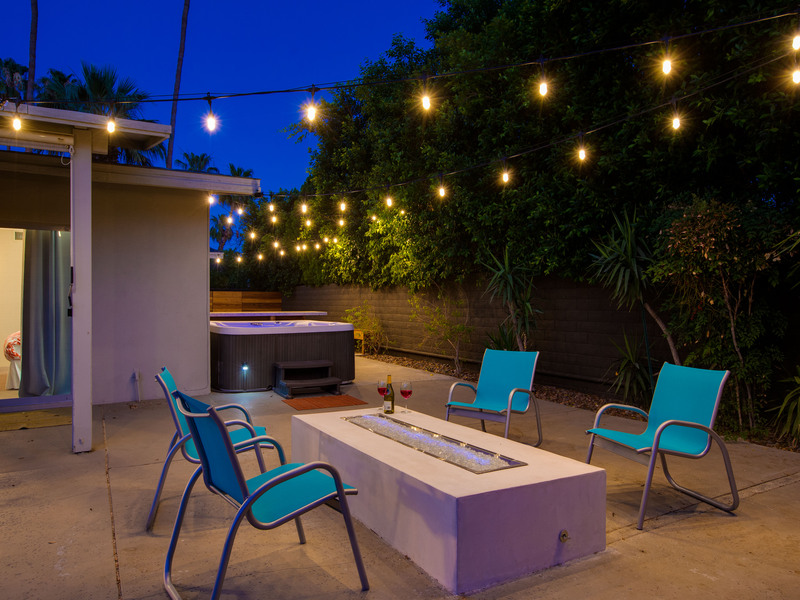 The pool was very nice and we all enjoyed the outdoor fire feature. 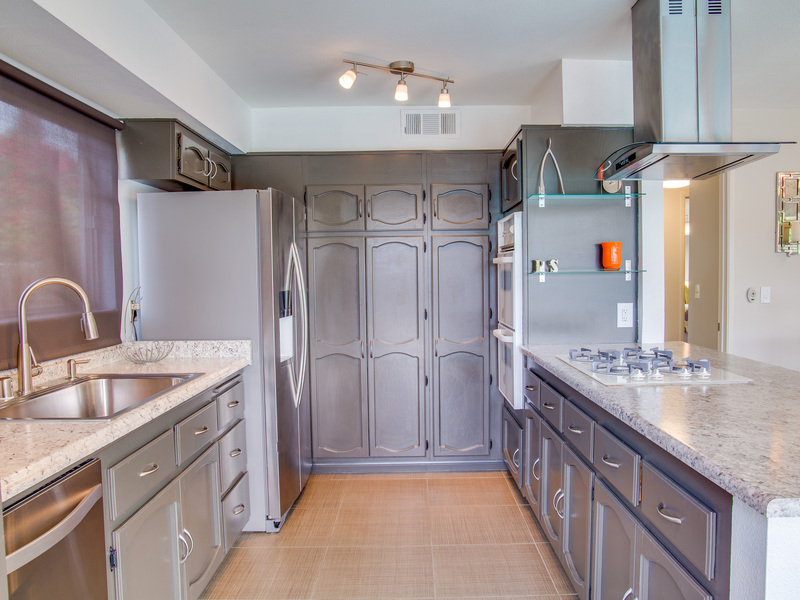 The layout was great, especially the nice open kitchen. The property was very private, and it was nice not having neighbors behind the house. " "What an incredibly beautiful home this is! Brad and I feel so very fortunate for this time in the sun, amongst family and friends. 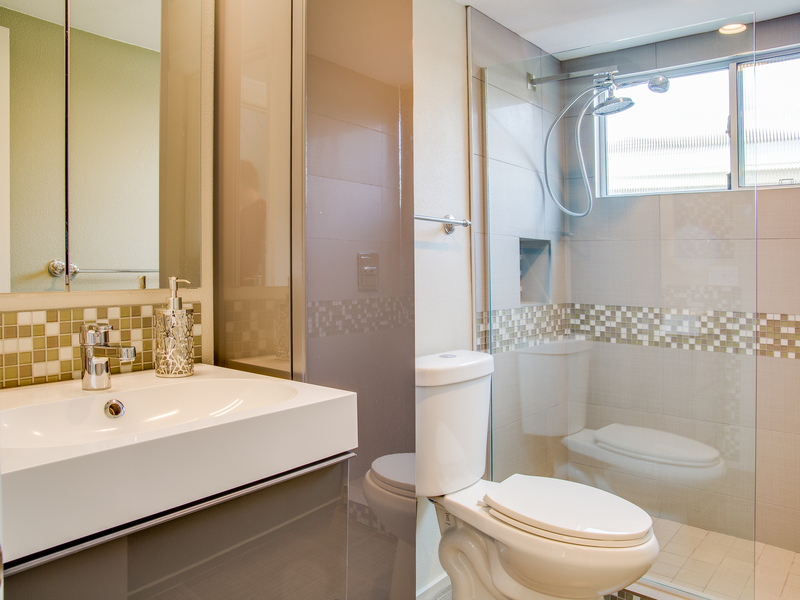 This home radiates the love and care you show others, What a special family you are! We feel so lucky in this friendship and love you all!"